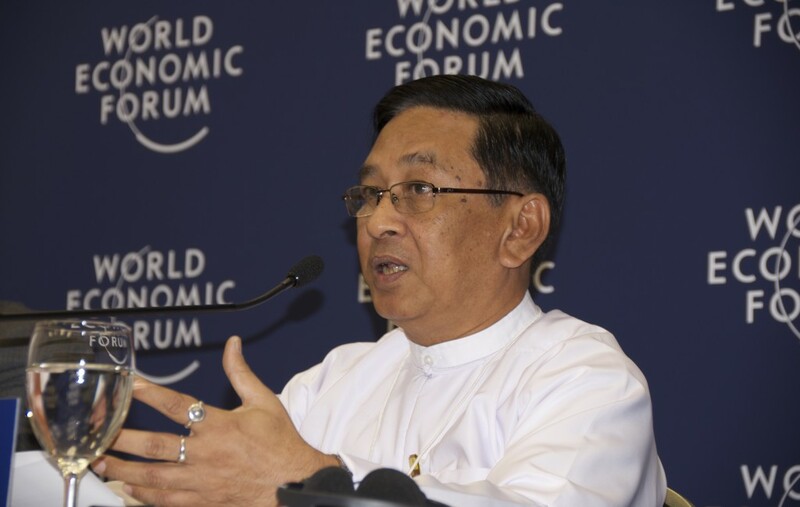 NAYPYIDAW — Speaking at the World Economic Forum (WEF) gathering in the Burmese capital on Thursday morning, Deputy Energy Minister Htin Aung said that in future Burma will only export energy resources after domestic demand has been met. “We will not sell unless we fulfill our demand and then only if there is a surplus,” the deputy minister outlined, adding that new contracts for offshore oil and gas blocks include a provision on the need to meet domestic needs. “If we did not do this we would have been left behind,” he added. Despite lucrative multibillion dollar sales of oil and particularly gas, to Thailand, Burma remains one of Asia’s poorest countries, at a similar stage of economic development to China in 1985, according to a report published last week by the McKinsey consultancy. The deputy minister was speaking at the launch of a new study on Burma’s energy sector, “New Energy Architecture: Myanmar,” undertaken by the WEF in collaboration with the Ministry of Energy, the Manila-based Asian Development Bank (ADB) and Accenture, a consulting firm. The report suggested options for energy reform in Burma going forward, in a sector that in the past has been blighted by allegations of graft and mismanagement. The report says that without energy sector reform, Burma’s much-vaunted economic potential could be stymied, given that 74 percent of the country’s population lacks electricity, and that factories in Rangoon often receive no more than four or five hours of power a day. Prospective investors in Burma have cited the country’s limited and unreliable power supply as a deterrent. Harnessing Burma’s resources to meet current and future energy needs will be difficult, however. Stephen P. Groff, vice president of the ADB, said on Thursday that it will take five years just to get the country geared up to meet current electricity needs, with only 16 percent of the rural population having grid access at present. Groff added that much of Burma’s current electricity problems—such as brownouts and power shortages—could be addressed by better maintenance and repairs of the current antiquated grid.